Vector close-up view of an eye with eyelid and lashes. The stylized anatomy graphic is drawn with custom brushes and the shadows and highlights give a sense of depth and semi-realism. 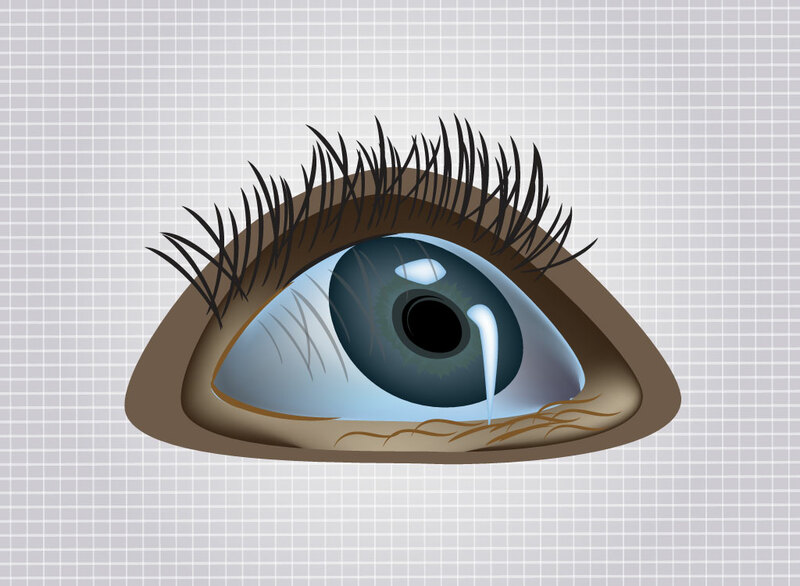 The free Illustrator eye download could work well as a symbolic image or part of an abstract illustration. Great illustration for your eyesight, view, cosmetics, make-up, mascara, beauty, focus, blue eyes, optics, glasses, eyewear and vision graphics. Tags: Eyeball, Eyesight, Eyewear, Makeup, Mascara, Optic, Optical, View, Vision.